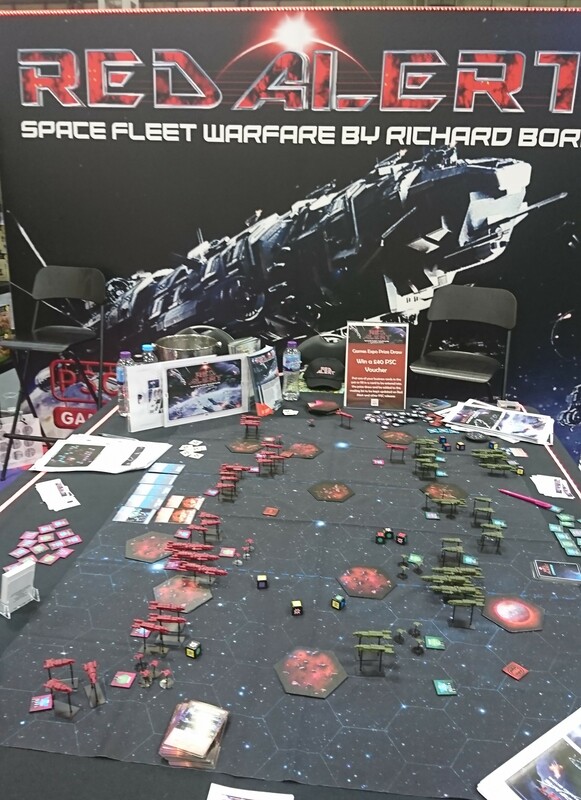 Red Alert: Space Fleet Warfare is a new Commands & Colors variant from Richard Borg. As the name suggests, this variant of the game takes place in deep space, and covers combat between fleets of space ships and fighters. A kickstarter to fund this new game has just been launched by PSC Games. As you can see, the game actually covers quite a large area, so is different from it’s predecessors in that it’s much more of a miniatures wargame rather than a boardgame – you might struggle to fit the play mat on the average kitchen table. In common with several recent variants of the game, Red Alert will have two decks of cards from which to play during the game – examples of these are above. A beta copy of the rules can be downloaded from the PSC Games website. It took way to long for me to figure out that this wasn’t somehow a Command and Conquer game.